The Shadow Cliff is an outstanding house in the Queen Anne Style. This house is ideal for limited space. The careful attention to architectural detail, color, and texture make this an exciting collector's house. 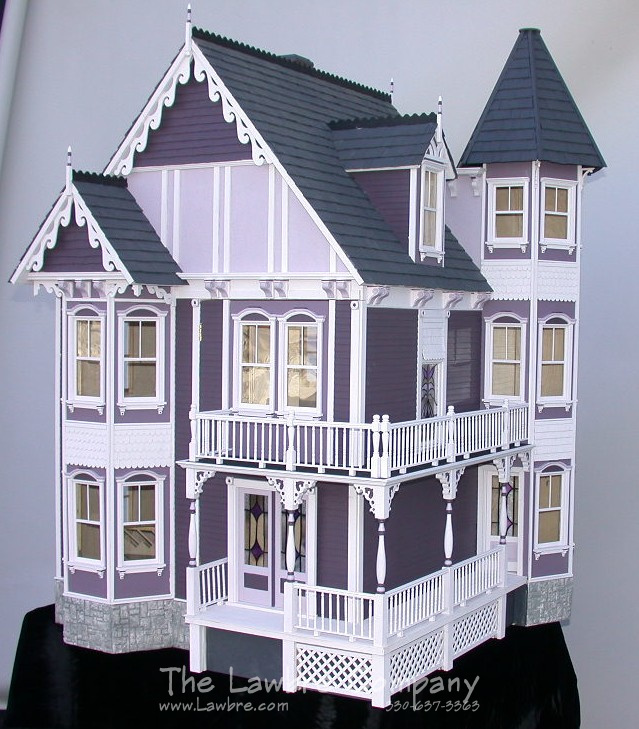 This house lends itself to many different colors so it can be made to your taste. It is fully enclosed with opening doors on the sides and front for access to the interior. There are three floors with up to ten rooms, and it measures 32" wide x 32" deep x 43" high. This house can be ordered both as an unfinished shell or finished on the exterior. Call for pricing.